Before and after shots as of Sunday. Some smaller trees were removed to other schools, but the big elms were chopped up to be discarded. Demolition of Connaught has begun. The Cathedral Area Community Association and the Cathedral Village Business Association have written letters to the school board about retaining bricks for neighbourhood projects, but so far there has been no progress in obtaining the bricks. 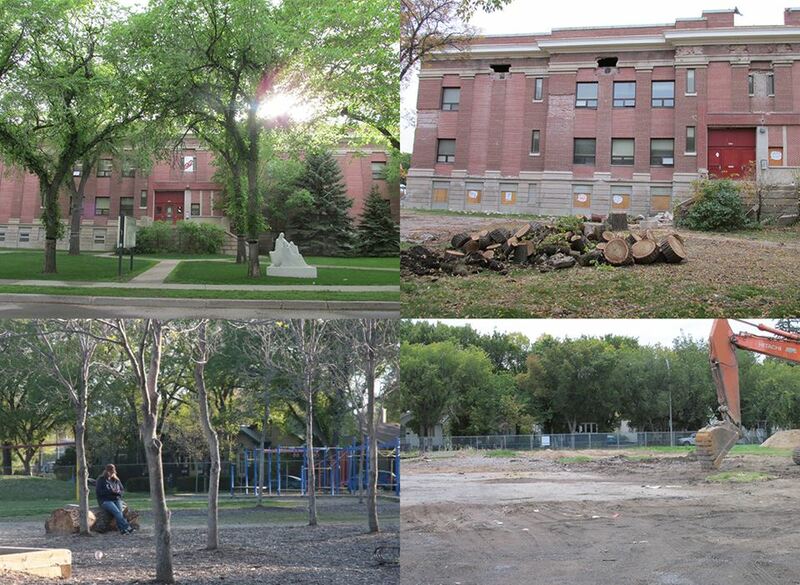 There will be a design open house Wed. Oct. 1 at the former Wascana School to discuss the promised replacement.